KATY (KTRK) -- The Special Rodeo is headed to town to brighten the lives of young people with disabilities, but it needs your help. This rodeo began six years ago by the Future Farmers of America chapters of the Katy Independent School District. According to their Go Fund Me page, in their first year they served 46 students and last year they served more than 250. The special rodeo will be February 15 at the L.D. Robinson Pavilion, 6301 South Stadium Lane in Katy. 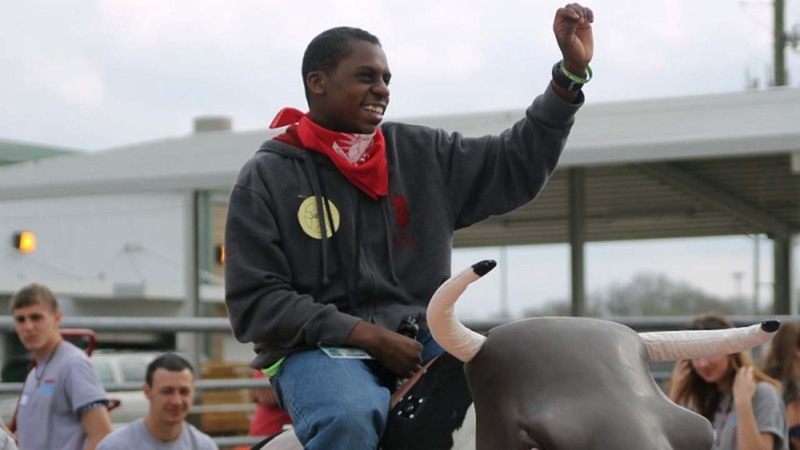 Katy ISD FFA members began this rodeo to serve special needs students in the school district. "It has always been our intention to provide the best experience for our guests. To do that we are constantly adding and increasing our diversity of activities. This has added to our cost. We have had tremendous local business support, but this year we decided to give everyone a chance to support us," said the organization's Go Fund Me page.